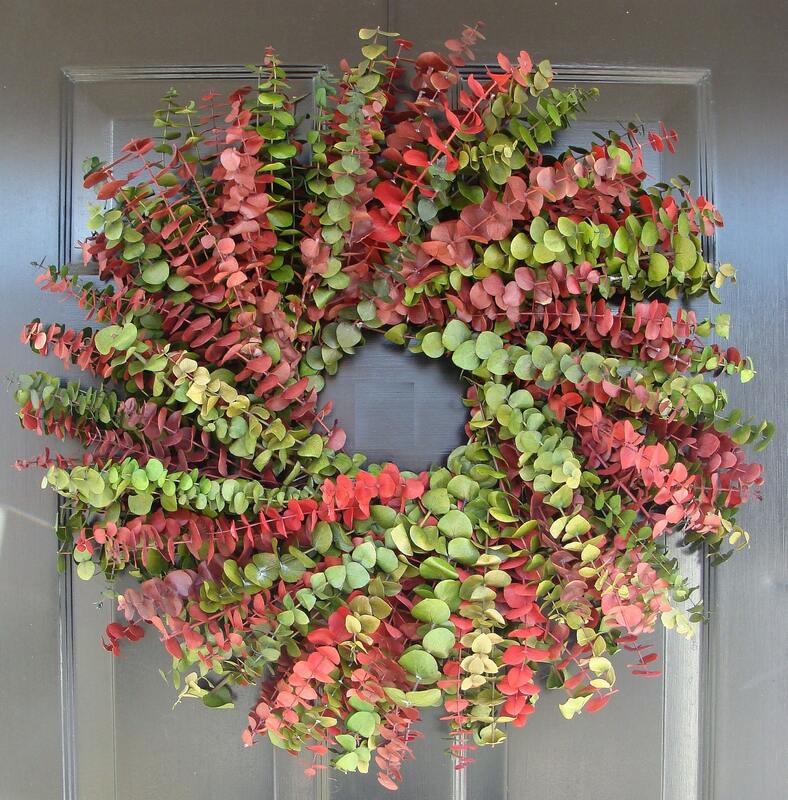 If you love the smell of eucalyptus then you'll love my wreaths! Premium grade, dyed and preserved eucalyptus which gives the eucalyptus a fragrant, soft and colorful look that will last for years. My eucalyptus is grown on a farm in CA so you are truly buying a piece that will be 100% Made in the USA! 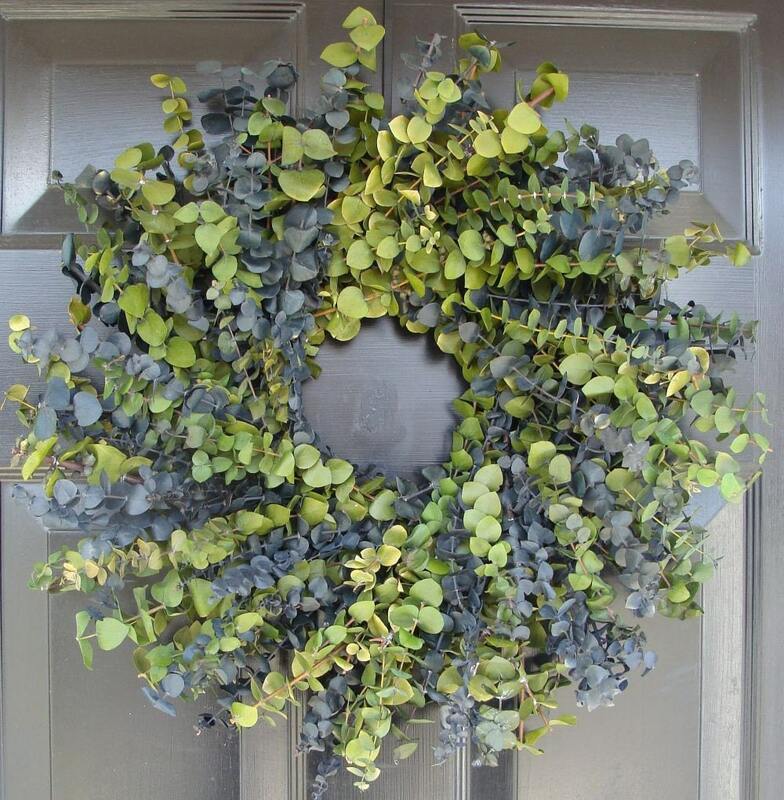 Atleast two full pounds of this wonderful eucalyptus is used to make each 20 inch wreath giving you a full, lush and fragrant wreath. 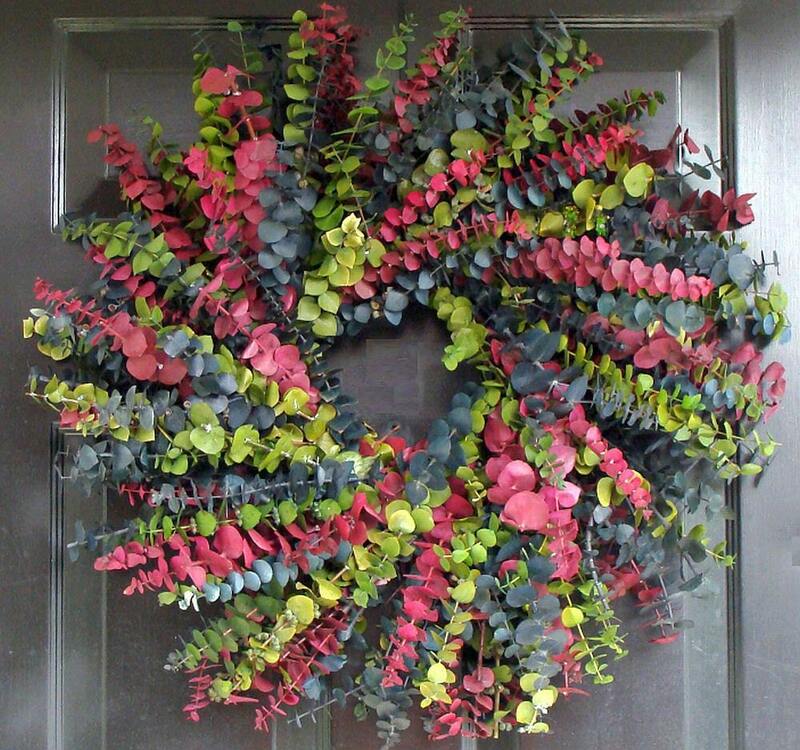 My wreaths are made fresh upon ordering so please allow 2 days in addition to shipping time. You can't purchase this quality of eucalyptus at any retail store and I have my colors specially made to they are bright and of the highest quality. Just store in a bag or box in a cool dry place (basement or closet) for next year. Dust it with a swifer duster or vacuum and refresh the smell by putting it in the sun for 10 minutes. 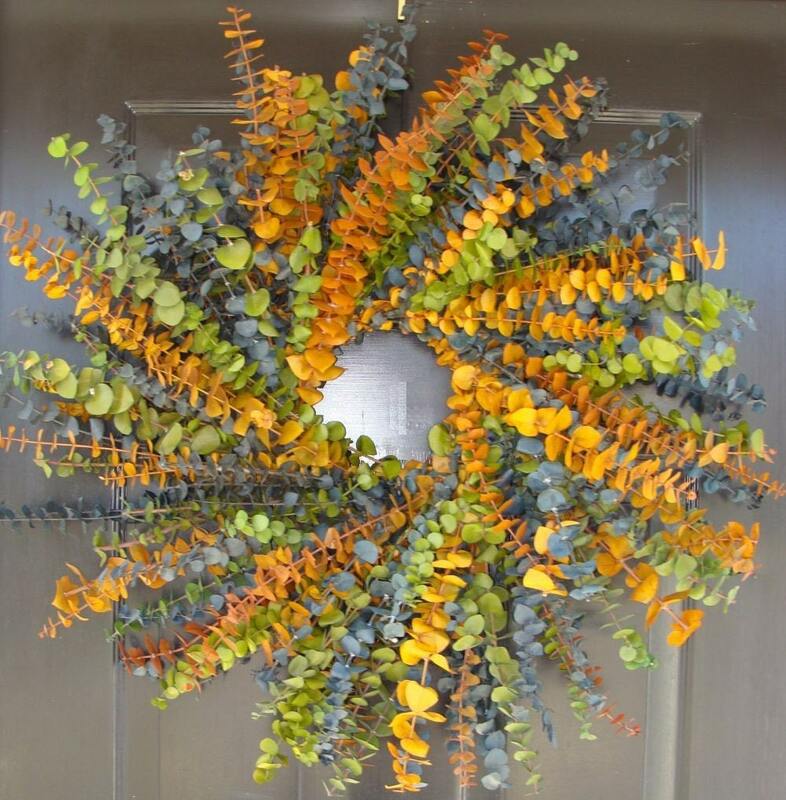 Sage and blue eucalyptus is shown in this wreath but why not customize your wreath to the colors that fit your home decor? Prices for standard size wreath of 20 inches. 4-5 inches thick. Usually can fit between outside storm doors although this would be for non-humid climates, covered areas or only in non-humid winter climates! **** Please note- Eucalyptus is for INDOOR use only or outdoors in NON-HUMID areas with full overhead coverage. 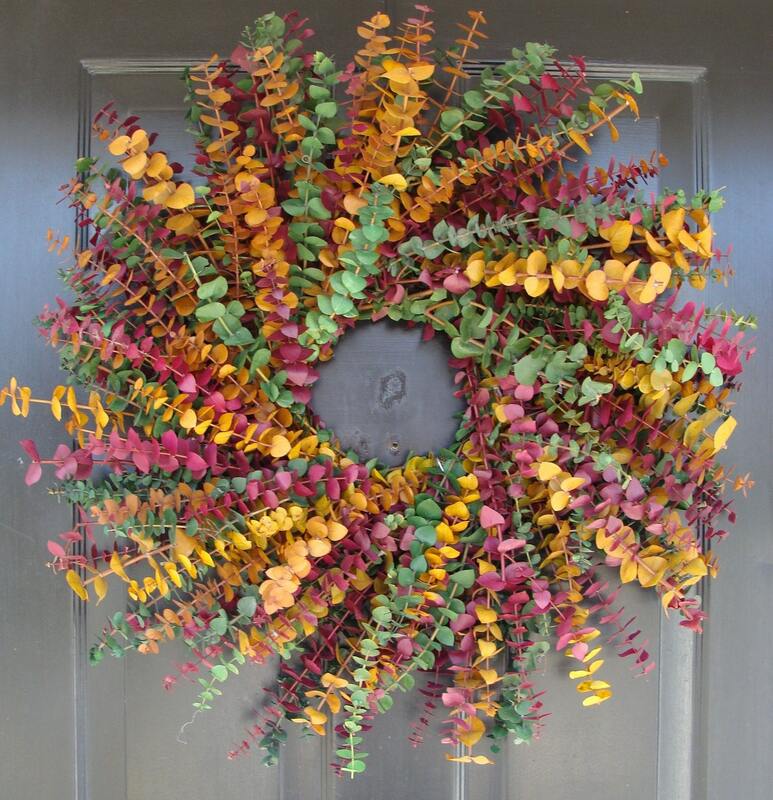 Indoors this wreath is great for a mantle, dining room, any wall or door and will last 7-10 years! Since the smell is amazing, why not put it indoors so that you can enjoy the natural fragrance?